This entry was posted on January 13, 2019 at 4:09 pm and is filed under News. You can follow any responses to this entry through the RSS 2.0 feed. You can leave a response, or trackback from your own site. From the vague impression I’m getting from people met, et al…. The folks at Waymo, with their annoyingly cautious autonomous cars, seem to be totally content to research the heck out of things until they get it right and safe. Cruise seems to be the same way. Uber and Tesla… ugh. 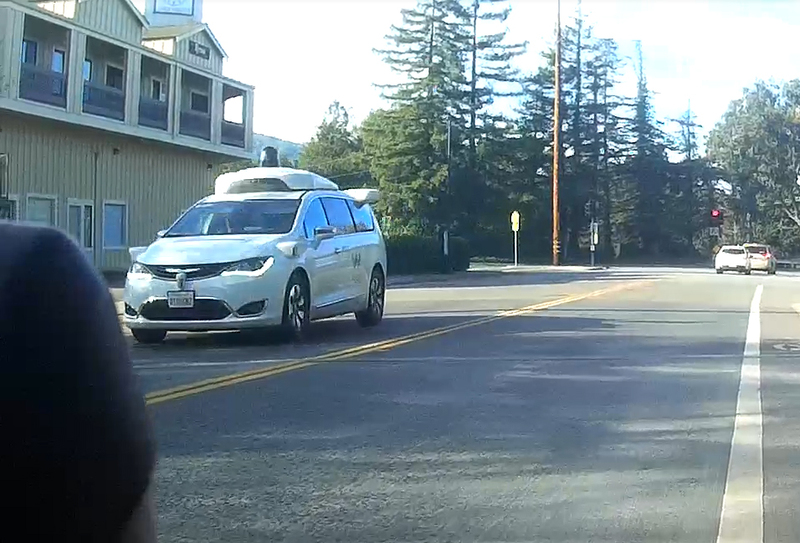 I used to bike to work right around Waymo testing central. There was at least one occasion where I seemed to have caused a car to deadlock because it just stopped in the middle of the street. But I never felt unsafe. My big concern is that the brain of an attentive driver is doing a lot of complex reasoning. Is that flash of white that you got a glimpse of between parked cars a plastic bag or is it some kid about to take a jog into traffic? Computers still haven’t solved this. Using just the cameras and not resorting to RADAR and LIDAR, doubly so. But at least it’s worthy research. I think I’m mostly worried about half-baked autonomous cars. Things like the idea that all peds and cyclists must carry a transceiver. Or half-baked Tesla autopilots that are just good enough that they lull you into thinking that you can take your eyes off of the road but not quite good enough that if you do, you won’t kill someone. I’m also kinda looking forward to when the guttersnipe semi-children with soldering irons get enough understanding of the systems involved to start providing adversarial inputs to the system.